When it comes to flooding and other water concerns, there are three categories of severity. There are times when the presence of water brings relief and joy and times when it makes you gasp. Water in a swimming pool or at the beach is a welcome sight, but water on the floor or in the ceiling or walls of your Murphy, NC office building causes great concern and anxiety. There are different levels of water damage. It’s helpful to understand when you’re dealing with clean water and when you have dirty water to take care of. When it comes to flooding and other water concerns, there are three categories of severity. Each of these requires various mitigation and cleanup steps. Category 1: This comes from a source of sanitary water such as a broken or leaking supply line or overflowing sink. It poses no risks to one’s health. 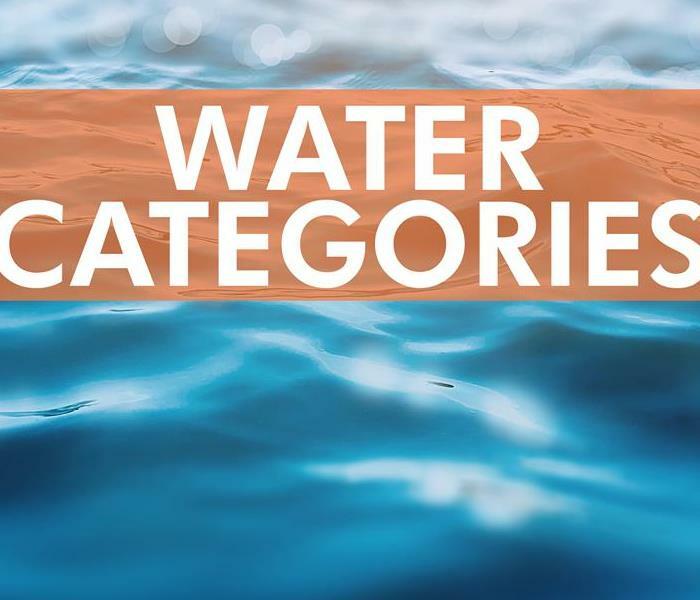 Category 2: Has significant contamination of materials that could cause one to become ill.
Category 3: Known as black water, it can be lethal if ingested. It includes feces, heavy metals and silt. This is a common type of water damage in a commercial building. It can happen due to a broken pipe or issues with the main line. This flooding can either be gradual due to a slow leak, or it can come suddenly in large bursts. Though category 1 brings in unthreatening clean water, it can still inflict heavy monetary damage to your facility. The best way to mitigate problems is to call a professional water removal and cleanup team. Technicians will evaluate the extent of the damage and will ensure that the water doesn’t mix with unsanitary sources. Next, the team will extract the water and dry the area. A thorough sanitizing process then follows. Though category 1 damage involves clean water, you still want to call a trusted company to get rid of it. The faster you respond, the faster you’ll be back to your regular work duties. No matter what type of business you own, preventing mold or quick remediation is the key to avoiding lawsuits. When you own commercial property in Murphy, NC you have an obligation to the people who work or live there to keep it in good condition. This, of course, requires cooperation from tenants, business managers and anyone hired to build or maintain the building. Failure to address a mold problem in a timely manner can affect the status of mold insurance claims as well as lead to lawsuits for various types of businesses. Because the law requires landlords to maintain a habitable space for renters, failure to do so can leave them vulnerable. It is advisable for building managers to contact mold remediation specialists as soon as a fungus problem is discovered. 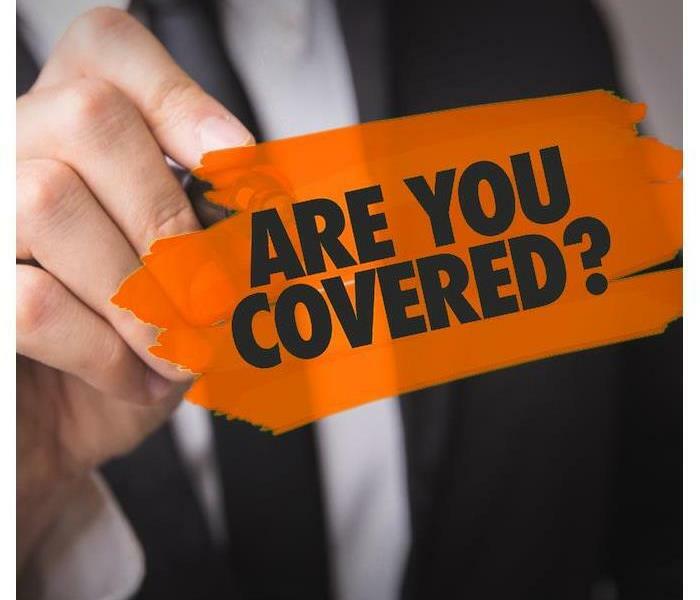 Professionals who oversee the construction of commercial property may also have to file mold insurance claims, particularly if they are sued for mold growth during or after the building is built. Any number of problems can cause water damage during construction, and this can lead to mold if it's not remedied quickly. It is in contractor's best interest to prevent mold by ensuring that the right kind of materials and proper techniques are used. 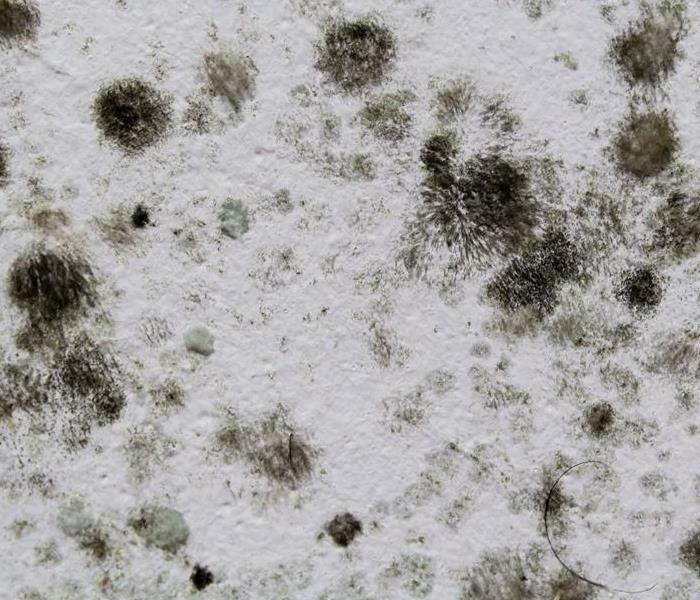 It is possible that employers can be sued over mold, too. Like landlords, employers are required to provide safe spaces for employees to work. The building must be able to be utilized for its intended use. Employers should stay on top of maintenance not only to provide the information needed for a mold claim but also to avoid issues with personnel. Mold insurance claims may help building owners pay for remediation, but legal costs are typically covered by liability policies. No matter what type of business you own, preventing mold or quick remediation is the key to avoiding lawsuits. 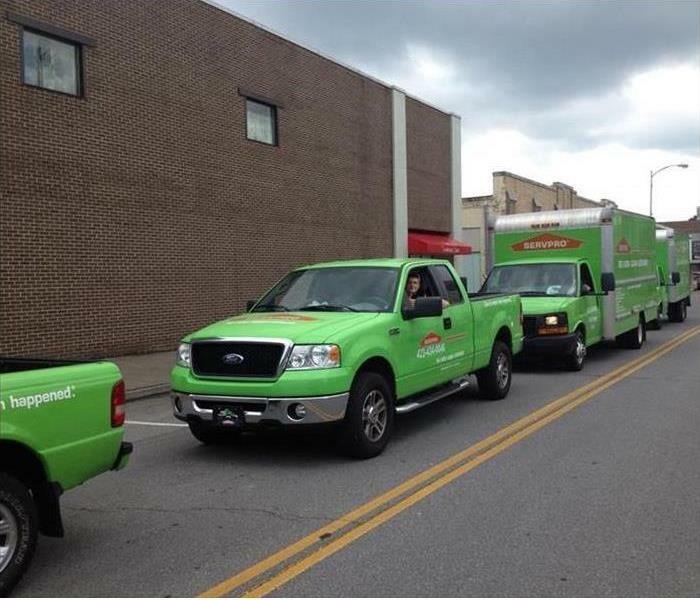 SERVPRO of Nantahala team is always Here to Help. An insurance agent or adjuster will need to access claim information to process and settle a claim. Necessary documentation ranges from an individual estimate and report of damage to data on similar claims and job costs. Learn more about three ways in which an electronic claims service may speed up an insurance claim settlement. After a local franchise responds to a call with an on-site inspection and provides a verbal briefing, damage mitigation and restoration professionals will calculate an estimate. A one-stop shop such as SERVPRO can account for the costs of the complete job. Companies that only provide mitigation or restoration services will issue separate estimates, which may slow down claim settlement. The franchise will upload a comprehensive estimate to an internal system, and the documentation will be made available to insurance representatives on the Claims Information Center. Once an individual estimate is posted on an electronic claims service, insurance agents and adjusters can gain access to this information at any time. The availability of documentation necessary to process an insurance claim may reduce delays due to communication. Insurers can keep track of updates through the same service. An electronic claims service can also function as a research resource. Collected data about types of claims, causes of loss, job file costs and information enables an insurer to compare the performance of a franchise to other locations across the region or nationwide to make sure an estimate is reasonable. An electronic claims service can help an insurance agent and adjuster process and settle insurance claims for damage at a commercial property in Murphy, NC. Insurance companies and clients should work with SERVPRO, a company that maintains this type of service, to ensure that insurance representatives always have access to important information. Homeowners with damaged homes might find it helpful to contact water damage restoration experts. Whether caused by bursting pipes or a flood, managing a home that has been damaged by water in Murphy, NC can feel overwhelming. However, knowing more about the process of making a claim can be useful to homeowners. When damage has already occurred to a home, it’s often not possible to change your insurance plan immediately after the fact. Choosing an insurance policy that will cover common types of damage is generally helpful. By knowing what your insurance policy will cover, you can be more prepared for a disaster, and you can quickly make a claim and spend less time worrying about the financial aspect of the damage. After you’ve made the insurance claim, your insurance company will likely request documentation in order to know how to compensate you. Many insurance companies send an adjuster to photograph the damage that has occurred from the bursting pipes or flooding. However, it can also be useful for you to provide additional documentation to the insurance adjuster and your insurance policy, as more information can often be useful. After a claim has been made, the next priority is to the issue and clean your home. However, spending time attempting to fix a broken pipe or trying to clean your home on your own can be both time-consuming and hazardous. Standing water can cause structural damage and can result in mold growth, making it important to quickly clean your home. Making the most of the time you have and calling in professionals is often the best way to ensure your home doesn’t become more damaged. Understanding what insurance policies tend to cover, knowing how to document the effects of bursting pipes or a flood and understanding the importance of reacting quickly can make the claims process easier. Homeowners with damaged homes might find it helpful to contact water damage restoration experts. Mold and mildew are an unpleasant pair that no homeowner wants to encounter. Mold and mildew are an unpleasant pair that no homeowner wants to encounter. While they seem to go hand in hand, they have some important differences. Understanding the differences is key to preventing mildew or mold damage and keeping your Murphy, NC home pristine. Here are some ways to recognize the distinction between these two. And of course, both are a fungus that no homeowner wants to see. That’s where the similarities end, however. Mildew is best described as a surface fungus. It often appears as a patch of gray on a moist surface. Mildew growth is particularly common in bathrooms, where it favors shower curtains. Fortunately, surface mildew is easily treated with cleaner, a scrubbing brush and some elbow grease. Mold damage is like mildew in that it is a fungus and is commonly found in areas that are often wet, such as near pipe condensation. Mold comes in many colors, however, ranging from black to green. It’s also usually a sign of a much larger infestation than a spot of mildew is. Mold is also occasionally slimy, unlike mildew. Mold can be a lot harder to truly eradicate because it tends to have deep roots and isn’t removed with common household cleaner. Mold can destroy furniture and even walls, so it’s important to take evidence of the fungus seriously. Whichever of these you see, it’s a good idea to act quickly to minimize mildew or mold damage. Removing the source of moisture and cleaning surface fungus is a good start. For a permanent change, talk to a mold remediation company to get rid of the mold growth you see and the leftover spores you don’t see. Mold Damage in a Downtown Nantahala home, mold can lead to structural damage to your home. In addition to being an eyesore and smelling bad, mold can lead to structural damage to your home. For that reason, it is highly important for you to respond quickly once you notice there is mold at home, even the smallest black mold outbreak might turn into a dangerous issue if not handled with great care. If you come across the pesky fungus spreading along the walls or mold growth behind wall you need to contact a professional Mold removal to help you. Mold damage and mold growth. Mold damage and mold growth come by when the climatic conditions tend to favor them. For instance, a leak or flood is a perfect condition to trigger the mold growth. Other conditions favoring the growth of mold include plenty of humidity, plenty of moisture and warmth in the air. Given that mold is the fungus, its spores play a great role in circulating the air in every corner. The moment the mold starts growing in a home or office, it will require less than three days for mold mutilation to spread rapidly and quickly in the entire apartment. For this reason, every home and business owner must have a mold damage and mold removal restoration company specialization in remediation and mitigation on speed dial. 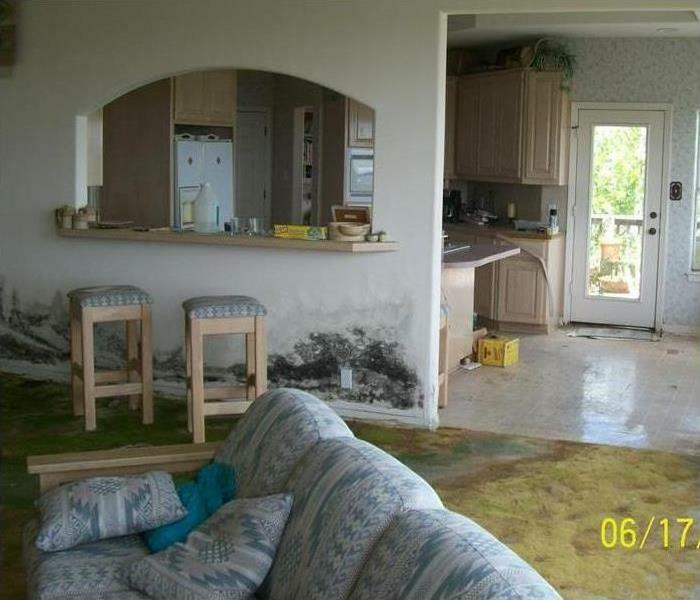 Note that ignoring professional mold removal and mold damage assistance from a restoration company is never rewarding. preventing current mold growing whether it is a visible mold, black mold or mold growth behind wall. Once you notice mold in home or commercial mold damage, it is imperative to ensure that the HVAC system is shut down when using deodorization. Never should you try to get rid of any mold without a restoration company, and do not ignore mitigation and remediation when mold removal is mandatory. Note that mold and fungus are the same things and mildew is a sign that mold exists. Given that mildew needs many of the same conditions to develop and for this reason, once you notice mildew, just know that mold is elsewhere in a home or office. The same case is evident with a smelly odor and the necessities to use deodorization frequently to get rid of the smelly odor. If it is present, it is an indication that there is a mold in home somewhere. Dry rot is another common sign of a potential mold in home. 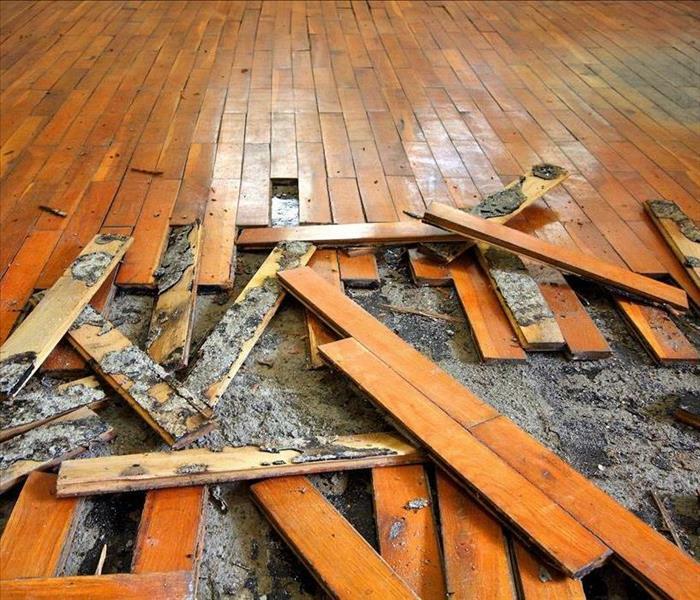 Dry rot occurs when there is high moisture causing some materials to break down. If you notice dry rot in your home or office, just know that mold might be present. Even though dry rot occurs without mold at all, it is a clear indication that mold growth behind the wall is an issue. 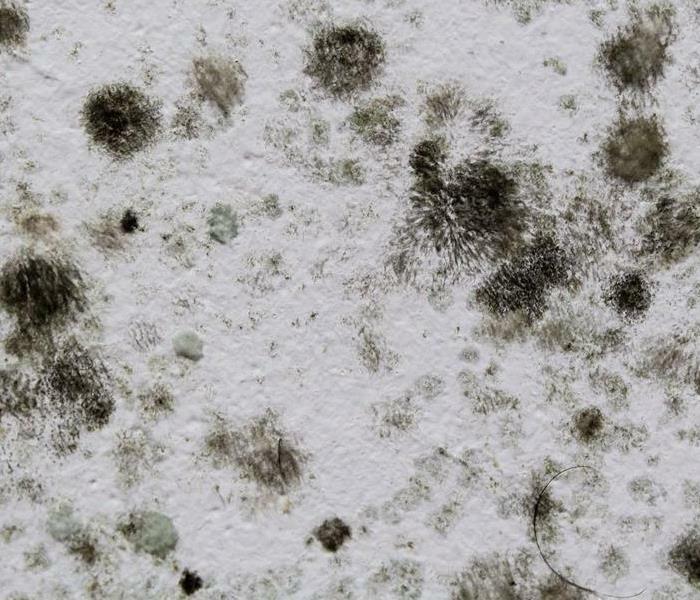 The existence of mildew, dry rot fungus and also the smelly odor might indicate the presence of commercial mold growth. Given that differentiating mold from the black mold without the help of professional help is hard, contacting the professionals is the best thing to do. Mold Damage in a Residential Home. I found a little black mold, could it be worse? When mold growth is detected in a residence, or business, you need to understand that you may have only discovered the tip of the proverbial iceberg. The reality is that mold growth could exist at a variety of locations in a home or business. This can include mold growth behind wall. As part of taking control of mold in home, you need to engage the services of a qualified, reliable mold removal remediation specialist adept at locating the presence of mold throughout the premises, including mold growth behind wall. You need a mold mitigation specialist that had the combination of experience and mold removal equipment and technology to identify the presence of mold wherever it may be, including mold growth behind wall. Even overlooking a small amount of mold growth behind wall can result in serious consequences. Keep in mind that the presence of mildew or fungus can be warning signs that mold is also present in the premises. When mildew or fungus is detected in a residential or commercial property, it needs to be addressed. However, when mildew or fungus exists in a home or business, steps must be taken to determining how and why it occurred. Determining the cause of mildew or fungus can be invaluable in preventing or addressing mold in home. If you have experienced a storm in Cashiers, NC , there will likely be some damage to buildings in the area. When you need the help of a storm restoration service, SERVPRO is a preferred company for many insurance agencies. Here are a few reasons why choosing them is best for you and your clients. After a storm, you may have multiple clients with damage to their homes. Dealing with several insurance claims at once can be stressful and time-consuming. 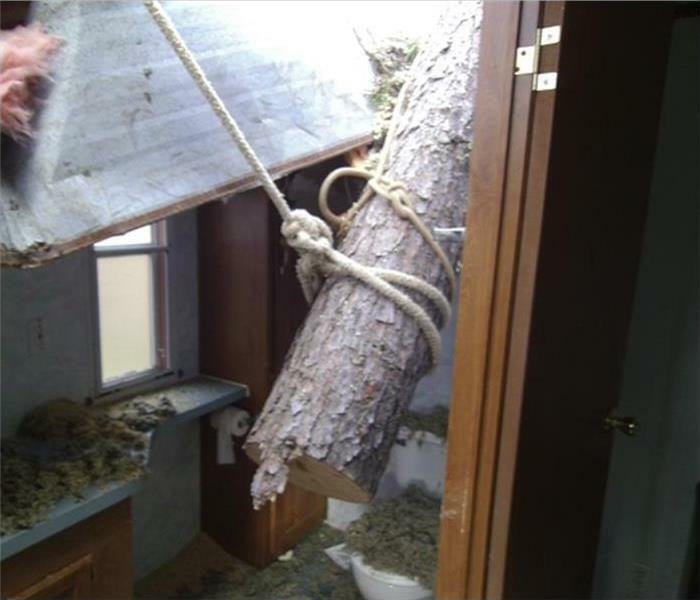 SERVPRO can make the storm restoration process go more smoothly. They have over 1,700 locations that are open 24 hours a day and 365 days a year, so they will be available as soon as you need them. When a client has water damage in his or her home, it is important to act quickly. This kind of damage will only get worse over time if it is not taken care of, so a quick storm response can make a big difference. They can inspect the home within hours of your call, so you can process your client’s insurance claim more quickly. This also allows the company to begin mitigation to prevent further damage, which can save both time and money during the restoration. 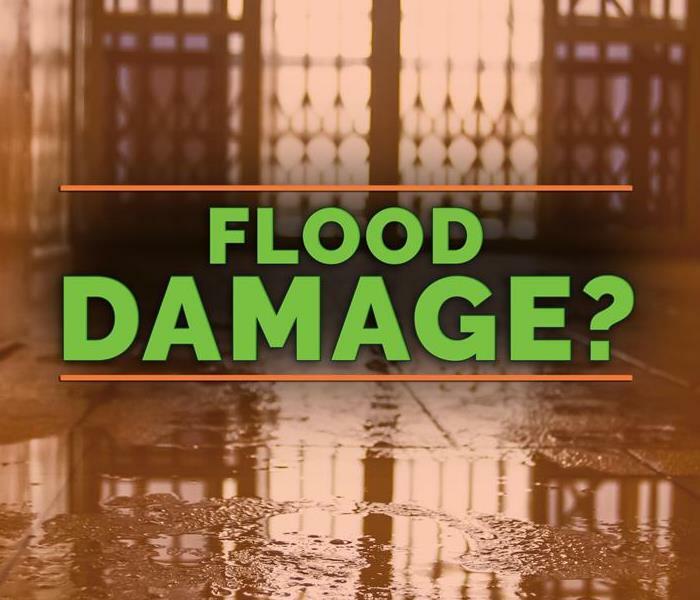 Whether a client has a lot of flood damage in the home or a little, SERVPRO is trained to handle it. They have both the equipment and the experience to respond to emergencies of any size. You can expect the job to be done as quickly as possible without sacrificing the quality of work. When you need to provide storm restoration to a large number of clients, choose a damage restoration company with a fast response and highly trained workers. This will make the process easier on everyone involved. Have Storm Damage at Your Business? Are you a business that has recently experience flooding, storm damage, wind damage and more? Has a river flooding left your business untenable or a storm caused severe roof damage? Or, perhaps your business is in need of roof repair caused by hail damage, hurricane damage or ice damage? Whatever your needs may be for storm restoration, read on to learn more about how you can get your business back in order with these three tips for professional storm remediation. When your business has experienced flooding, storm damage, roof damage, wind damage, river flooding, hurricane damage, hail damage, ice damage, frozen pipes, ice damming – and more, you simply cannot do the repairs on your own. You need a trusted business and home restoration company that can get the job done quickly and efficiently. We’re not talking about an easy roof repair caused by a roof leak – and even then, you should consider hiring a storm restoration company to protect your business investment and employees. A professional water restoration with company with experience resolving flood water, ground water, ice dam, flood pump and other issues is the only way to go. Make sure you find a company that is licensed and bonded – and that has a good reputation – for your storm remediation. The extent of the storm damage is going to vary across businesses—from a simple roof leak or roof repair to flood water taking out an entire floor of a business. We’ve seen it all—from frozen pipes to a flood pump ruined by ground water—and so it’s important to take seriously the recommendations of the company you hire and make the repairs now. You don’t want to be in position in which you make only some of the water restoration, storm damage, wind damage, roof damage and other repairs. We’ve seen flood water take out entire businesses because sometimes there is no stopping a flood. We’ve seen an ice dam wreck a business – and if you don’t fix all of the issues immediately, you could have more problems later. Don’t put your business through that. If your business has experienced hurricane damage, ice damage, ice damming issues, hail damage, frozen pipes and more – then follow the storm restoration plan set out by the company you hire. You’ll be glad you did! When your business is facing something as catastrophic as storm damage caused by ocean flooding, river flooding, ground water issues, flood water receding issues from hurricane damage, roof damage issues caused by hail damage and ice damage – and more, it’s not going to be easy to pay for it all. Water restoration, ice damming repairs, flood pump repairs, a roof leaf, a roof repair, ground water issues – just to name a few – literally can put your business out of business. Therefore, make sure the business and home restoration company you choose can work with you on financing your repairs associated with storm remediation. Whether you’ve got an ice dam problem or river flooding, the bill is going to be high – and you need an economical and feasible way to pay. We’ve seen it all—from flooding caused by river flooding to roof repair caused by wind damage to frozen pipes because of an ice dam. Storm restoration is never just about a roof leak! If you are in need of a business or home restoration caused by a flood pump issue, a roof leak issue, an ice damming issue, water restoration issues – and more, then call us today for your expert home restoration and storm remediation. We’re here to help! Visit http://www.SERVPROnantahala.com for more information on storm damage. Prevent flood damage for your business. Traditionally, sandbagging has been used to guard businesses and homes from the damage floods cause. However, they are labor intensive to set up, ineffective compared to other methods, harbor harmful contaminants, and are difficult to dispose of. Fortunately, there are other methods of protection that can be are much more effective at giving the storm damage cleanup company less work to do and are environmentally friendly. Next time you attempt to protect your business in Franklin, NC, from flooding, consider ditching the sand bag altogether and try one of these three alternatives. For a flood damage prevention method that is less labor intensive, flood barriers are a great alternative. Since they self-activate when wet, there’s no need to worry about filling them with any materials. Like sandbags, these barriers work by absorbing water, but they are a non-toxic option and do not need to be treated as hazardous waste during the disposal process. Unlike sandbags and other methods that absorb water, inflatable flood dams use water itself as a prevention method. Some models require you to fill the dam with hose water ahead of time while others are filled with air and replaced with floodwaters as they arrive. They then create a barrier that keeps floodwaters away from your business. Although they are a more expensive option, water gates are much more effective and eco-friendly than a sand bag. They create a transportable flood barrier using durable materials that will keep flood water out with or without anchoring. They can also be stored and reused after a flood. Water gates are the ideal option for large properties and sections of businesses or residential areas. There’s no need to use the traditional sand bag method and risk damage to your business and exposure to contaminants! Next time a flood is headed toward your business, try one of these three alternatives. 2/12/2019 - Have Storm Damage at Your Business?